Adidas Originals 5th Avenue Snap Back Cap Black Q45328 NEW! Adidas Women's Originals X Neighborhood Black Wool Cap S20266 NEW! Details about Adidas Women's Originals X Neighborhood Grey/Heather Wool Cap S87045 NEW! 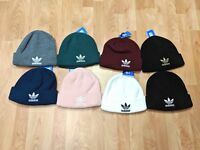 Adidas Women's Originals X Neighborhood Grey/Heather Wool Cap S87045 NEW! Adidas Women's Originals Relaxed Fit Strapback Cap Blue Chambray/Black OSFA!! !